Books | Bill Finlayson, Ph.D. 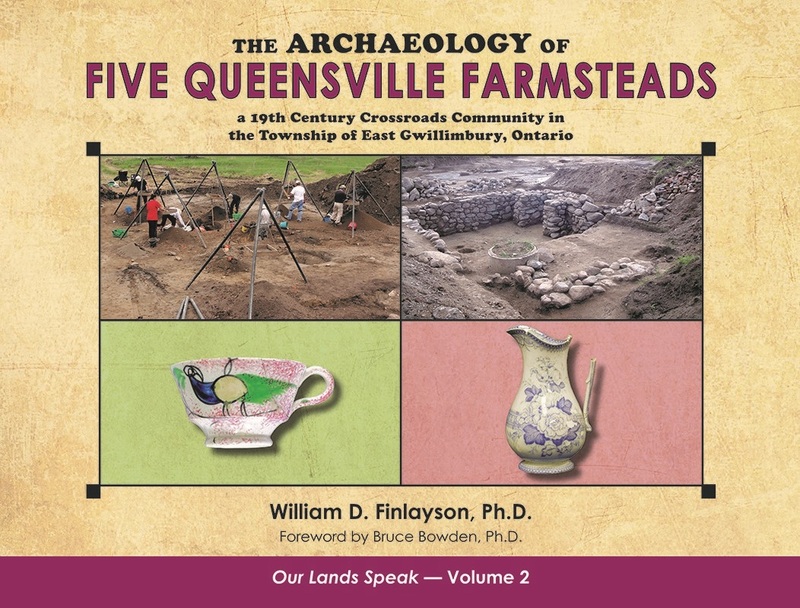 Author William (Bill) Finlayson takes this simplistic definition, yet extraordinarily complicated field of study, and gives us a fascinating look into a piece of local Ontario history. Through the meticulously documented and analyzed “objects dug up from the ground,” we learn how the people of Patterson Village worked and socialized. Dr. Finlayson’s wonderfully descriptive prose, illustrations, and pictures, transport us back in time to the mid-1800s where we have a front-row seat to the lives of the people of Patterson Village. William (Bill) Finlayson once again brings the past to life. This time, it is through the lives of the generations of people who settled in Queensville, Ontario. The Archaeology of Five Queensville Farmsteads – a 19th Century Crossroads Community in the Township of East Gwillimbury, Ontario affords us a glimpse into what life was like for the master builders of the Sharon Temple, a unique architectural structure in Canada. We learn how they, their families, and many others who built the community and made it their home, lived.